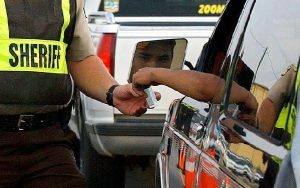 A total of 27 people were charged during a weekend checkpoint conducted by the Johnston County Sheriff’s Office. Chief Deputy Bengie Gaddis said a dozen officers conducted the checking station from 10pm Saturday until 2am Sunday on Highway 50 north of Benson near Elevation Road. Gaddis said Johnston County residents can expect to see more checkpoints, both day and night, weekdays and weekends to get violators off our county roadways.